This is the text I wrote to accompany these two dolls that I made. We are Belinda and Sally. Can we stay with you? The granddaughter of a close friend of ours adopted two little girls, twins. 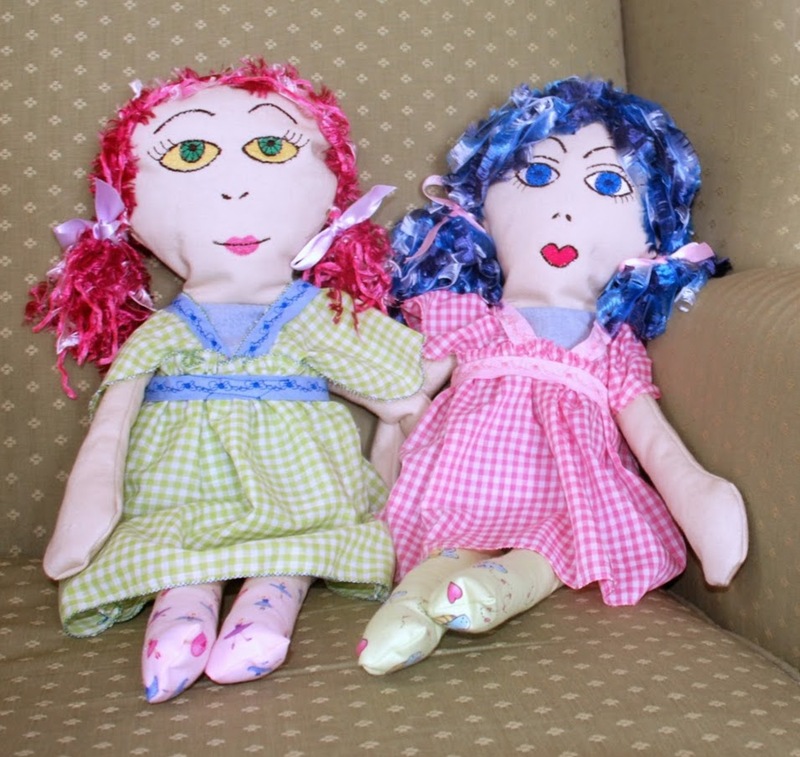 They are almost two years old now, and I created these two dolls for them. Hope they will like 'm!